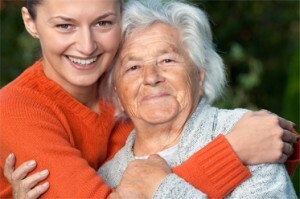 Caring For The Caregiver- Preventing caregiver burnout. We all want to provide the best care possible for our loved ones. Yet, sometimes we need to ask the question: Who is caring for the caregiver? Caregiver burnout is a legitimate concern for any family or person who provides ongoing service to physically or mentally dependent individuals. You might notice these symptoms are similar to symptoms of depression. Counseling and support groups can help lift the emotional burden of a full-time or part-time caregiver who finds herself overwhelmed. And unlike chronic clinical depression, which may require medication in combination with other supportive treatment, caregiver burnout can often be resolved without medication. All we need is a little common sense and willingness to use some of that wonderful, caring energy (that we offer our patients or loved ones) to care for ourselves. Interestingly, I learned the lesson about how to be a good, healthy caregiver during my years of raising a family as a single parent. I used this knowledge both at home and in my career as a nurse. And I learned the lesson from our family cat. You read that right–a cat. One afternoon I retreated to my bedroom to fold laundry on the bed, away from the sounds of TV and whatever else was going on in the house. It must have been a Saturday because it was mid-day and I was at home. Most other days I would have been at work. A few days earlier Midnight had given birth to a litter of kittens in a blanket-lined box in my closet. As I folded towels and matched socks, I watched her caring for her newborn kittens. She nursed them, cleaned them, let them cuddle next to her. Then she did something that surprised me. She left her babies. She got up from where she was lying, stepped over them, and left those newborn-blind, helpless kittens mewing plaintively in their box. They began feeling around, smelling for her, trembling as they tried to walk on tiny paws. And she just walked away. I stopped what I was doing to watch. I remember feeling sorry for the kittens. But I also felt compelled to follow Midnight to see where she was going. She went to her food dish. She ate. She drank. She went outside and did her business. Then she came back in the living room, found a spot on the floor where a shaft of light had warmed the carpet and she lay down. She cleaned herself, stretched her legs, laid her head on her paws and closed her eyes. That’s when it hit me. BAM! This cat instinctively cares for herself. No one has to tell her what to do. She doesn’t buy books about feline co-dependence or how to be a good mommy cat. She doesn’t call her cat sister on her cat telephone to cry about how hard it is to care for her babies by herself. She doesn’t get angry or depressed about the burdens she bears. She leaves her kittens safe and sound and follows her natural instincts to care for herself so she can care for her offspring. Period. End of story. Her cat brain does not allow her to over-ride her instincts like a human brain does. Midnight’s example of self-care was all I needed to bring more balance to my life of caring for my children. I was doing the best I could. I stopped feeling bad about the time I spent in my garden, which was relaxing and regenerative for me. I made sure to provide regular lunch dates for myself with friends. I joined a writer’s group. I started paying attention to my physical, emotional and spiritual resources and began responding in a more organic, instinctive way to cues of stress and exhaustion. This may be when I began taking routine afternoon naps and saying “no” to some requests for my time. I realized that my own instincts were the landmarks nature gave me to define my mothering and care-giving limits. By doing these things, we ensure we will be there to care for our loved ones as long as possible and in the very best possible ways. If you feel you need help, please call or email us to see if your loved one qualifies for homecare services. We can also help you find community resources that may be available to you. What has worked for you? What is your greatest challenge as a caregiver? We’d love to hear from you in the comment section below. This entry was posted in Aging, Home Health, Hospice, Nursing Care and tagged caregiver burnout, elder care, healthy living, loved one, prevention, self-care on January 2, 2014 by Melody Newey.